Phoebe Mroczek is a marketing strategist, podcaster and personal coach who helps small business owners gain clarity on their mission, messaging and marketing so they can create an aligned business that is a fun, easy and honest expression of who they really are. She is the host of the Unbecoming Podcast, a show that helps entrepreneurs release perfectionism, judgment and expectations to redefine their metrics of success, create new possibilities and live into their full potential. 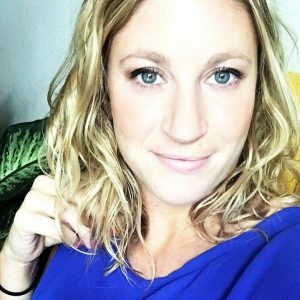 Over the past few years, she has grown her portfolio with several ventures including a six-figure online marketing business that helped established entrepreneurs refine their paid ad and launch strategies, a podcast she co-hosted with 900K+ downloads and international in-person events, strategic masterminds and online communities. Podcast Topics: The main topic in my business and on the Unbecoming Podcast is business and personal identity shifts. We focus on the WHO – the actual person behind the business – as opposed to just strategies or business tips. We dip into the various seasons of business and life, and get real and raw about what it takes to live life outside the box. My ideal guest is an entrepreneur who has built a successful business and loyal following. Remember BIG does not always equal loyal – quality over quantity. S/he is someone who thinks outside the box, and has (or is ready to) dive into a new, meaningful season of life. This guest has done a lot of deep inner work and has a unique perspective or unique experiences to share. I’m really looking for the “IT- Factor.” S/he is willing to go deep, get vulnerable and share some powerful insights and ah-ha’s with our listeners. S/he has a passion for helping entrepreneurs and is able to communicate his / her mission and process clearly on a podcast. Adventurers, travelers, explorers, multi-passionates, athletes and great storytellers are my favorite people to interview! Self promoters and people on the generic podcast speaker circuit are not. I’m looking for real, not perfect. I’m looking for honest, not guarded. Nothing is off limits as far as how deep we go, so stories and a great sense of humor are imperative. This is someone who has done their homework – listened to several of my episodes and sees how they can add true value or inspiration to my show. More than that, I’m looking for someone who is UNIQUE, stands out, can share their story articulately. This person is passionate about my mission and message, and has an interest in developing a real relationship with me and my community. I’m not looking for a one and done-type situation. I get a lot of pleasure out of helping my guests succeed and appreciate when that same care and consideration is reciprocated. I talk about the 3 T’s: Truth, Trust and Transparency, so those encapsulate what I’m really looking for. Best advice to offer those looking at being a podcast guest: Do your research. Listen to several shows & choose a few target podcast(s). Reach out and develop a relationship with the host first. Explain what value you can bring to him/her + their audience. Remember that it’s about delivering value + being YOU more than it is an invitation for a sales pitch.